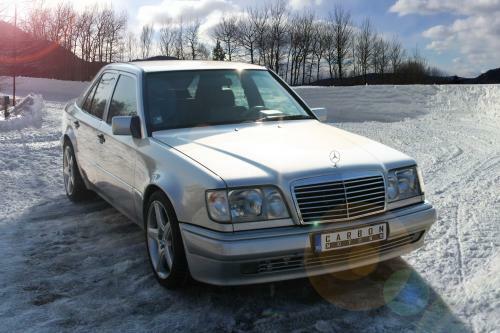 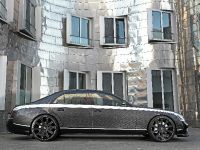 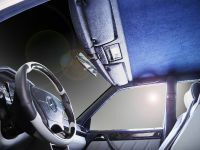 Carbon Motors Mercedes E500 W124 features entirely modified custom and hand-made interior. 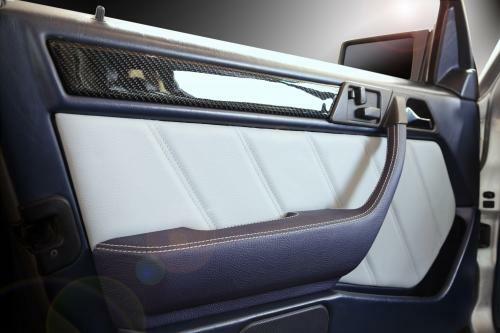 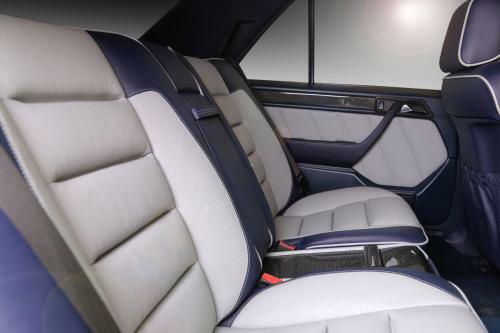 All seats are in blue and grey leather combination, the headliner is in blue Alcantara, the color theme merges down and the pillars are in blue leather. 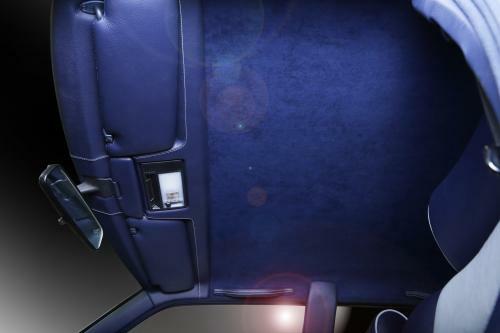 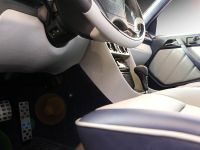 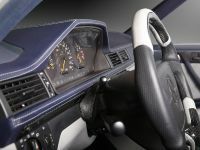 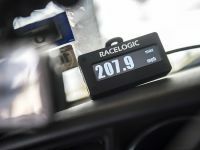 The dashboard is upholstered in blue leather with grey decorative stitching. 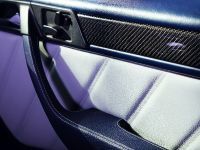 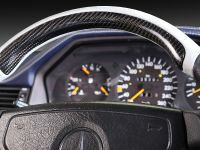 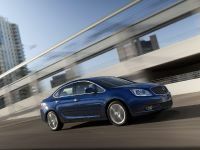 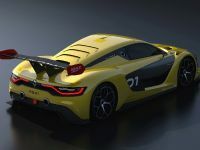 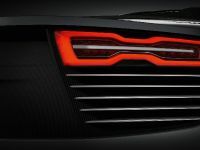 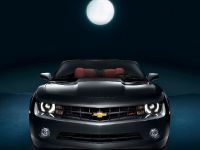 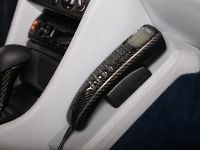 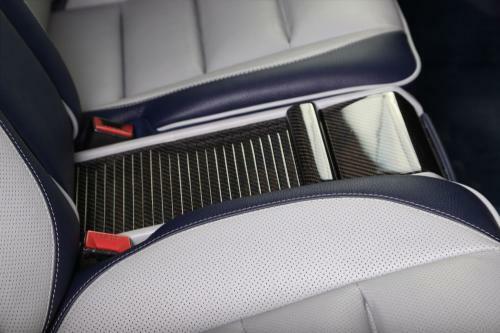 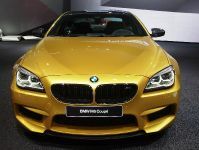 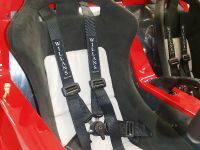 Carbon fiber coating has been used for all interior trim panels and stripes as well as for the steering wheel’s panel.